The following answer to a Parliamentary Question lists the revenue collected from speeding offences for each Welsh Constabulary from 1993 to 1997, and the total revenue collected in England and Wales for the same period. Take a look at the figures for Gwent Constabulary, who patrol the smallest geographic area in Wales. You'll notice that not only do they collect the largest total revenue, but that the ratio of revenue to fixed penalty notices had increased to over three times the national average by 1997. It's interesting that so many motorists may have been caught speeding on the short section of the M4 that winds its way through the undulating Gwent countryside! Mr. Boateng: Information on the amount of revenue raised from speeding fines is not available. However, information available to me shows that the amounts shown in the table were ordered to be paid in fines in England and Wales and for the four Welsh police forces. 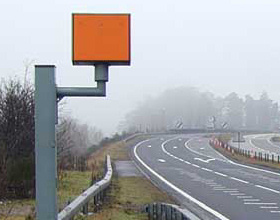 Information by individual Welsh county is not readily available, nor is a breakdown to show which fines had been ordered to be paid following speeding offences detected by automatic camera. Figures are not yet available for 1998, and those for 1997 are provisional. As the majority of speeding offences are dealt with by way of fixed penalty notices, figures for the number of notices issued are also included in the table. The penalty for speeding offences is £40. Not all fines or fixed penalties will have been paid.